Obsessed with Scrapbooking: New Cricut Car Decals Cartridge! New Cricut Car Decals Cartridge! This new Cricut Car Decals cartridge is packed with fun! Finally, we have a cartridge with multiple Cricut bug heads on it! How exciting is that! 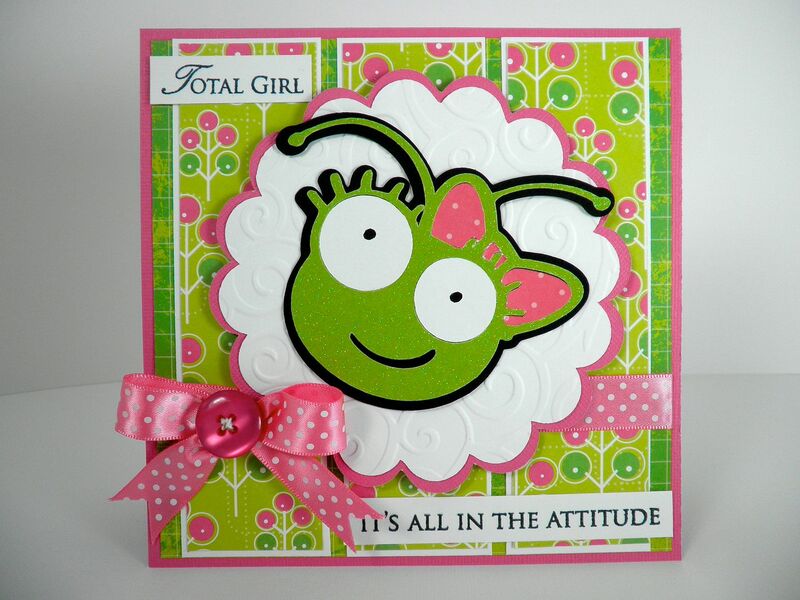 I made the square 6" x 6" card above using one of the girl bug heads - I think she's a cutie pie. She was cut at 4-1/4" since I was worried about the size of the eyes. No problems at that size, though. The scalloped circles behind her are from Mini Monograms. Paper by Core'dinations and DCWV. Stamp by CTMH. There is also a full key of word art and one of standard images you would put on your car (flames, religious symbols, the ribbon people use for breast cancer, soldiers, etc.). This cartridge will be exclusive to CricutMachine.com so you'll have to get it there! Don't forget I am giving away the Cricut Christmas Village and Cricut Christmas Cards cartridges! To find out about that and see more projects with the new Cricut cartridges released this past Thursday, click HERE! Subscribe to Obsessed with Scrapbooking to learn more about ways to use the Cricut in your scrapbooking! This post may contain affiliate links, which help subsidize my diet coke and coffee intake, necessary to run this blog. That is so cute!! I left a comment on Courtney's blog a few minutes ago about the cute "bugs" on this cartridge. Great minds think alike, I guess!! Oh how funny and adorable. I think I like the bug with the tie best of all!!! Very cute card. Would bring a smile to anyone. Love the color comb. Love your card! Thank you for continuing to inspire me! I honestly think this will be my first purchase of the new carts. I LOVE all the images on here. Thanks for the info. Didn't realize at first that it had Cricut bug heads on here too. I think the only thing I would really LOVE on this cartridge are the cricut heads. How cute!! How cute is that! Thanks for showing the "bugs" available! I only looked at the main images offered. Exclusive to Cricut Machine. com only?? What an adorable card Joy! I can not wait to get my hands on this cart!!!! This is so cute. I don't like when they make them exclusive though. I just love your color combo and oh my goodness..all these bugs!! I so have t o have this cart!! Love the bug with the eyelashes, about time we have a "lady" cricut bug. Your card is just adorable, TFS!! Soooo adorable, at last we have the Cricut head, wish it also included the Circle head. Thanks. OOOOoooooo, so cute...she just sold me. Definitely adding to my must have list. :D TFS!!! Lovin' the bug! Another must have! These are so cute! I didn't get it at first ~ I'm a slow learner! That might have to go on my list! haha, this card makes me laugh! How cute! I love this cartridge. It can be used for so much more like T-shirts, Christmas ornaments...ooh the possibilities!! SO cute!! I love it!! I wasn't at all interested in this cart, but when you look through the book, there are some adorable cuts on it...especially for a grandma of 5 active grandchildren! Love these new cartridges! Such fun designs. Little Cricut is very cute. Thank you for sharing! This is adorable! Thanks for sharing! What a great idea! Thanks for the look at the new cartridge! This is so cute! I love the cricut head cuts on this cartridge! Thanks for sharing! The car decals are a popular thing right now - good timing! Adorable card and cart! This is another "must have" to add to my collection. OH my goodness I have to have this cart!!!!! If not for anything else but the bugheads!!! Cuuuute card--TFS!!! SOOOOO Cute! I Love it! These images will make great car art and as you demostrated great car art as well. O M G!!! JOY, I SO ADMIRE YOU MY FRIEND!!! EVERYTHING YOU MAKE MY FRIEND JUST SHINES!! YOU ARE THE BOMB!! NOW, BECAUSE OF "YOU" I WILL BE GETTING THIS AWESOME CARD!!! GREAT JOB MY FRIEND! I think this is going to be a "must have" cart. This seems like a very cute little cartridge!!! Oh my goodness, this is too cute. I LOVE it! While I think the characters are cute, most of them really just aren't "My style". I loved your cricut girl card. Too cute! this is just the cutest! Love it. Joy, this is the cutest cricket I have seen so far. I love her. Didn't think I was going to want this cart, but I might have to re-think that!?!? love all the big heads too, my fav? the one you did. As my grandson would say, "That's about a cute 'Frick-it>" I would love to have that cart. Love the new cartridges, but Paper Lace is my favorite! 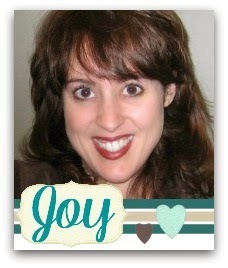 Love your ideas, thanks for sharing, Joy! Cute card and don't worry those are bug eyes. Love the bug with the tie, so professional haha. way to cute! This is the number one cartridge on my list right now. my favs are the martial arts, cricut head and those adorable funny sayings are way to cute!! Adorable card! That's a great cartridge! Joy this is ADORABLE! I want it just for the bughead. Thanks so much for the beautiful inspiration! Those little guys are so darn cute, love the card!!! Soooooo cute!!! I love that card. I bet alot of people will start to ask about the cricut bug now that they will see people driving down the road with them on the rear windows of their vehicles!!! So Cute! How do you make such nice looking bows? This Cricut girl bug is so cute! Love your card! The bughead is CRAZY CUTE!!! I wanna have this one!!! So cute! Love the people!! Thanks for the opportunity to obtain a new cart!!!! ABSOLUTLEY adorable!!! Too cute for words! What an adorable card Joy! I love the girl cricket head! Love your choice of colors--so girly!!Thanks! About time we had Crucut heads. And quite hadsome and cute Cricut heads they are. That is so funny-I never imagined the Cricut bug head as a girl!!! :) Cute card! I love the sketch (the way you used 3 panels of designer paper in the background and placed the main image on scalloped circles). this is adorable I cant wait to get this one!!!! This is super cute! I can't wait to get this one too! I love your card and this cart is definately on my Christmas list!! 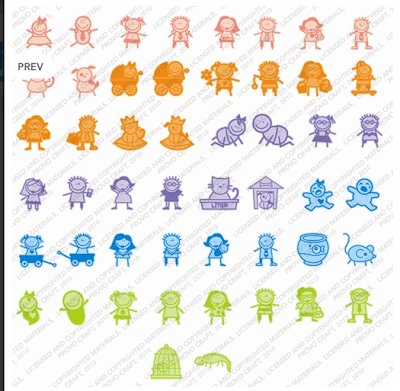 These bugs are so cute so are the window ones....Great card! the bug heads are very cute. I like how you did the card too. Love the colors. I can't wait to try the new cartridges> Thans for sharing. That is such a fun card! I think this cartridge could have a lot of possibilities. Very cute card. Love all of those little bugs in this cart. How fun! that card is so cute! the car decals cart is exciting! Love the cricut head! Sooo cute! This cartridge is so cute. Love the one with the tie. Love the cards you girls are making with this cartridge. I just think it's a marvelous thing! TFS!! Cute Joy! I've been waiting for a cartridge with bugheads...I'm not sure why it took so long! :) TFS. Oh wow, this is cute! Wow! Finally, a Cricut cut! The card is adorable, and so were all of the others. I will be having a lot of trouble choosing which to buy first, when they come out. Thank you for the chance to win a cartridge, and I'd love to get the Christmas cards one. Good luck to everyone. BethAnn M.
Love your card! Thanks for sharing. I love this cartridge. It is so much fun.I love this card. Why exclusive? Thanks for sharing your wonderful idea. She is one cute bug!!!! I love the scallops too! pink and green, such a fav color combo of mine! Thanks so much for sharing Joy, have an awesome rest of your Sunday!! That little bug sure is cute! Can hardly wait to see what else you might make with it! Thanks for sharing! great card this cart. looks like it has alot of extras. This cartridge is one that is gonna have to be high up on my wish list I think! Lots of potential!! How about some projects showing both ways to make them--one on the Imagine, and one on the Expression? I know that sounds simple, but it gets complicated when we start trying to locate comparable designs from the Imagine patterns! would love to see more specific ways to use "busy print" paper. Losts of papers I love but can't figure out how to use them without either distracting from the paper or the design. Love all of the carts! Don't have any Christmas ones yet. i would like to see something more that scrapbooking pages. Something like shadow frames all dazzled up, or boxes or word books. I could use this cart for a few projects. In fact I could use them ALL. I would like to see some Wall Decor Projects that are artsy or vintage looking like the Tattered Angels stuff or the Webster's Pages stuff. I hope you know what I am talking about. Sooo cute!! I just ordered this CAr Decals cart! I'm always telling my husband how I love those car decals of little families, now I can make my own and change it up when I want!!! What an amazing giveaway for breast cancer month. I love your blog very much, the things I love to see on here are all the ideas you can come up with with all your cricut cartridges, I think so many people only see what's on the booklet and there are so many more things to produce with your cartridge. Hi there Joy, I would like to see more how to use the Cricut Imagine and Expression machines better. Something you made using a particular feature key on the expression and step by step instruction, or something using some feature of the Imagine other than something pre-designed. I visit your blog daily and really enjoy it. Thank you for an opportunity to win a pink expression machine. I love paper-crafting! Loved breast cancer Save the tatas. My brother got a fund raiser together last year saying "Save the Hooters" so men would decide to get involved!